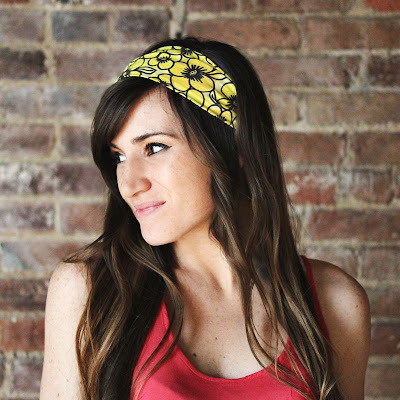 Juneberry Lane: Juneberry Beauty Part Two: Trendy Tresses ~ Wrap it Up!! Juneberry Beauty Part Two: Trendy Tresses ~ Wrap it Up!! Since we are all about amping up our tresses for the warm-weather party season ahead, today we are focusing on how to take a HUGE Spring trend from runway to real-life in a few simple steps. 1. 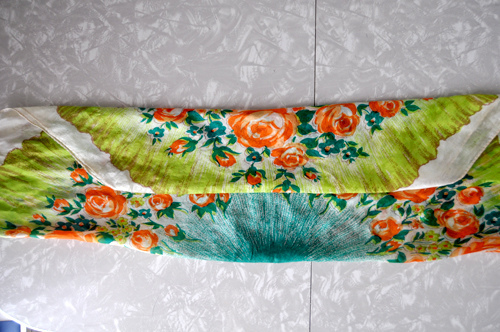 Fold your scarf into a long rectangle (you can do this with traditional square scarves or skinny scarves). Tie it behind your head, under your hair. 1.) 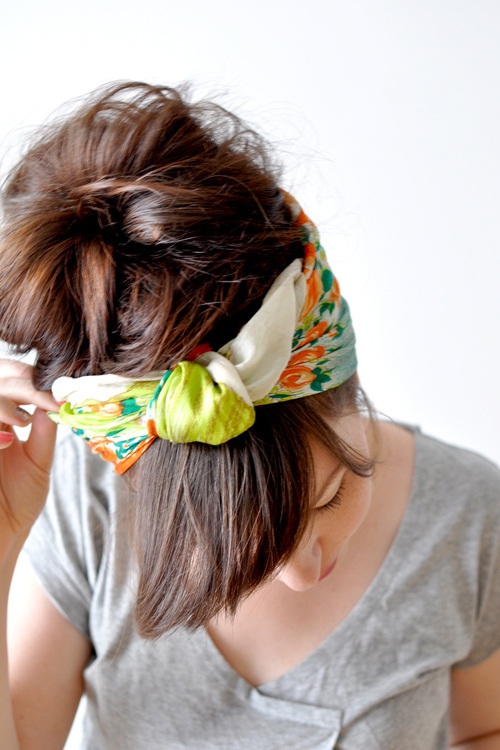 Start with the middle of the scarf on the back of your head under your hair. 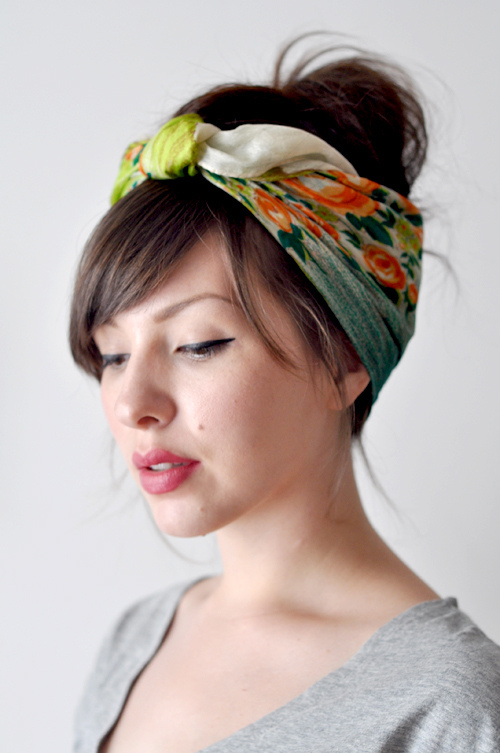 Then you simply cross the scarf in the front and then tie it back underneath again! 1.) Simply take the square scarf and fold it down the middle to make a triangle. Then lay the center of the triangle around the top of your forehead, with the point in the back or off to one side, if you prefer. 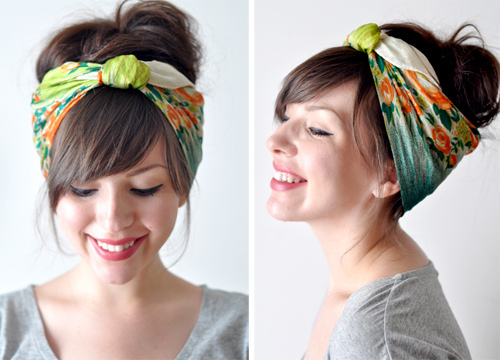 You may want to get someone to hold the scarf down on your forehead while you tie it in the back. 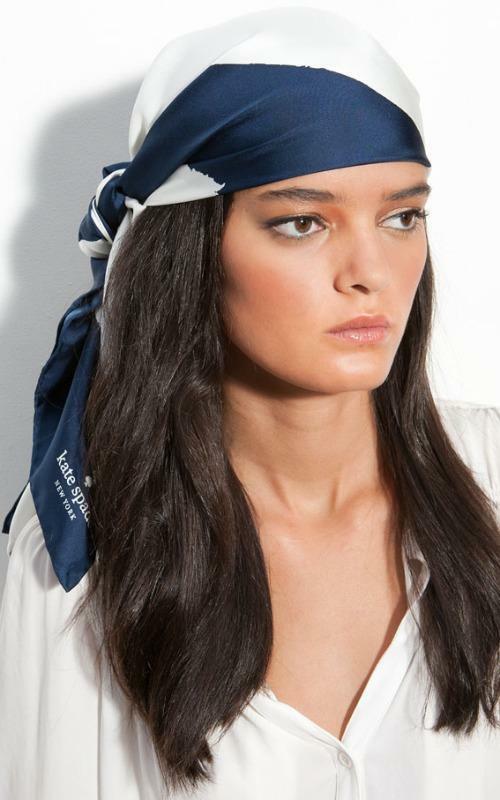 It’s very easy for it to slip while you are tying the scarf. So you take the ends and tie it OVER the point of the triangle at the base of your neck. Just tie it in a regular old knot & you are all set! What a perfect 'do for a beach BBQ or a backyard cookout...especially once the humidity to starts to soar or your locks are in need of a trip to the salon! Okay, enough about hair & fashion already...we will be back to the Party-plannin' tomorrow!! Have a great day! !